For starters, I have really come to appreciate this vendor's juices since I started using an RDA. Recently (June 2015) I contacted them to place a custom order for juice no longer included on their web page. Within a day they had an invoice in my inbox and after I paid they had the product ready to ship. When I got my shipment of 100 ml it was in two 50 ml bottles plus an extra 15 ml as an "apology gift" for not having a 100 ml bottle. Totally not necessary but greatly appreciated! If you use max VG juice you should absolutely give these folks a try! Do let it steep for a couple of weeks, it makes a huge difference with this vendor's juice. I tried this juice as soon as I got it out of the mailbox and it had a very very strong pecan flavor. It was like eating canned, shelled pecans that dry out your mouth. And the flavor stuck around long after I changed juices. In short, not pleasant and not what I was expecting. So I stuck it in a cupboard for a couple of weeks and then tried it again. Amazingly, it now tastes and smells just like a caramel apple, as advertised. I'd give this a 10 if the flavor was a little more intense. First time ordering from this vendor, and right off the bat I understand what all the fuss is about. I ordered one 10ml bottle and they threw in another one as a sample. Shipping was superfast too, halfway across the country in about 72 hours. And the juice is delicious. I'm definitely doing business with these nice folks again! This is the first Red Bull flavor I've tried, and it's right on the money. Excellent and refreshing but not overpowering. Definitely going to get some more of this. Delicious stuff. Not too strong, nice banana candy/cream flavor, like banana pudding at a really good barbecue joint. This has rapidly become one of my favorites. 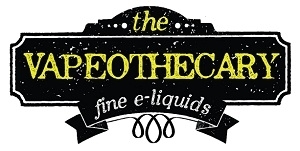 I haven't tried their juice yet, but a few days ago on their site I found a carto I've been wanting to get and it was priced much lower than I found elsewhere. So I ordered it. It arrived, halfway across the country, very very quickly. These guys even kept track of the shipping status and sent me notification emails. They certainly seem to have their customer service honed very nicely. I'll most definitely order from them again. After ordering several flavors from Preferred Vapor and really liking them all, I was surprised to get this bland, almost tasteless juice. It doesn't taste bad, it just doesn't taste like much at all. I steeped it for a little over a month and tried again, and I do notice some marginal improvement but the flavor is still very faint. I'm keeping it around in case I need something to mix with an overly strong flavor, but otherwise I can't really think of a use for this one. I really liked this juice for the first few days I had it. I'm not sure what happened after that, but it became very soapy-tasting. The soap taste was so bad it fouled my tank/wick so that anything else i try to use in the tank tastes like soap. I initially reviewed this juice with a rating of 9 but after spending a little time with it I have to upgrade it. This has become one of my favorites. The flavor is really interesting, like a very natural strawberry mixed with butterscotch. It never gets tiresome. It was definitely an experience dealing with this vendor. Seems like a nice enough guy who's in a little over his head. Hopefully he has caught up with his orders and I'm hoping for a better experience next time. The juice is good, though not as incredible as many of the reviews describe. Nicotine levels up to 24mg. 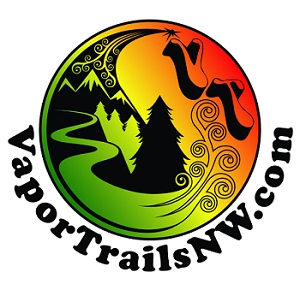 These folks offer some excellent juice (with nicotine levels up to 36 mg), and working with them is a breeze. After multiple purchases I've come to expect a smooth transaction and prompt delivery. They haven't disappointed me yet. This is just awful. Yes, it captures the taste of Fruit Loops, but it is about 100 times too strong. This juice amplifies the artificial aspect of the cereal's flavor to an absurd degree. I'm going to stick it in a drawer for a couple of months and give it one more try just in case it somehow mellows into something remotely enjoyable but, honestly, I really don't expect anything of the sort. Avoid. UPDATE: After weeks of steeping this is still the stuff of nightmares. Someone should put that poor toucan out of his misery. Putting this in File 13 and not looking back. Fast turnaround. Provided online package tracking info. I tried four flavors and they were all great. They even threw in a freebie! I'll definitely order from JVapes again. The fine folks at JVapes threw a little sample of this in with my last order and I'm glad they did. Definitely fruity but I can't pin down which fruits I'm tasting. Really interesting and pleasant blend. Billed as a juice that changes flavor and keeps you guessing, but to me it has the taste and smell of pure honeydew melon. That's not a bad thing, and it doesn't wear out its welcome as quickly as I would expect a pure-melon juice to do. It's great for when I want something a little different but probably not one I'll be keeping in heavy rotation. Tastes really grapefruit-heavy but with elusive undertones that keep it interesting. Surprisingly good stuff, highly recommend! Really pleasant taste on inhale and exhale, but not overpowering - just the right balance. Excellent ADV. Tastes like a mix of melons and grapefruit - a combination I would never have guessed I would like but this is outstanding. This juice really does stay interesting and pleasant over a long period. 24 mg. This one also keeps its character at higher voltages. I've already bought a second, bigger bottle. Higly recommend. Tried 15 ml of the oak-barrel-aged w/ 30mg, and it really is excellent. Like a really good vanilla pipe tobacco, except I don't get sick of it after 20 minutes. Nice ADV, and it's become one of my favorites. I've since reordered. I highly recommend this juice.